The UJ Centre for Small Business Development (CSBD) in partnership with National Youth Development Agency (NYDA) announced the top ten VC’s Innovative Business Awards at an award ceremony last night. The award ceremony was held at the School of Tourism and Hospitality at the University of Johannesburg’s (UJ) Bunting Road Campus. Launched in July 2013, the VC’s Innovative Business Idea Awards is an initiative offering students with promising business ideas an opportunity to transform their business ideas into business enterprises.At the sound of the mic, radio producer, comedian and Programme Director for the evening Shabba Muleya started the evening with the national anthem before calling upon Prof Daneel van Lill, the Executive Dean of the Faculty of Management, for the opening and welcome.The top 40 innovative business ideas were awarded medals for making it thus far in the competition. Thereafter snippets of the 15 minute presentations the top ten contestants gave during the selection process were showcased for all to see why they had made it in the top ten.“The purpose of the University in entrepreneurship is to nurture young minds and talent that must lead our enterprises, communities and state. 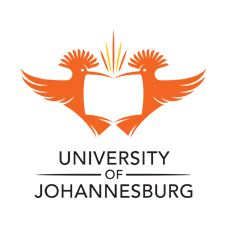 It is to make it possible for nations to thrive and accomplish great things,” said UJ Vice-Chancellor Professor Rensburg, while delivering his speech at the award ceremony. Initiatives such as this one have never been more important than they are now, given the myriad of socio-economic challenges young people continue to face. Partnerships such as this are a clear demonstration of the desire we all have to maximise the impact we can make towards changing the livelihoods of millions of destitute and discouraged young South Africans.22-year-old Business and Entrepreneurship student of the Raymond Ackerman Academy, Mandisa Gaba came in third place for Closet Space. Gaba walked away with R30 000,00 for her high-end label consignment store that resells newly used designer clothes. “I feel blessed and humbled, I can’t thank God enough,” she said. Katlego Tsoene (22), Dzunani Mkhacane (21) and Mlungisi Magida (21) Entrepenuership students from Eye N See Entertainment came in second place for their innovative entertainment business idea of music production which aims to promote and groom up and coming artists in the entertainment industry. They walked away with a total of R50 000. “It’s still the beginning, the best is yet to come,” said the trio.The ultimate grand prize of R100 000 went to 22-year-old Itumeleng Lengana for his business idea Farmers Footprint, a vegetable garden idea that aims to harvest scarce vegetables and crops and manufacture vegetables that aren’t in season. “Fortune is when opportunity meets preparedness, the opportunity was presented and the most prepared grabbed it with both hands,” said Itumeleng, as he expressed tears of joy at the ceremony. On behalf of the acting CEO of the NYDA, Mrs Ayanda Makaula, Dr Ntswaki Mnguni said: “In our individual capacities and in our collective capacities, we have a huge responsibility on our shoulders not to disappoint the majority of young people who have faith in us and I know that we shall work tirelessly to do as much as possible to ensure that as many young South Africans break free from the chains of poverty through initiatives such as this one.”UJ Alumnus and Managing Director of Student Brands, Mr Daryl Bartkunsky gave a keynote address on his road to success. “At university, my friend and I quickly realised that as students we had an opportunity in the market. We could hand out flyers on campus without paying, which would translate to reduced costs for such businesses as nightclubs that wanted to market to students, by sending through the information through us,” he said.Bartkunsky and his partner then realised that they needed a website and content that would attract the students to the site. The site then became a platform for students to sell their books and find a place to stay, etc. In order to market themselves and to attract the students to the site, the team ran a competition on campus, where they gave away an iPod. “It was my birthday present for that year. We collected telephone numbers and email addresses, and created a database of about 5000 students,” Bartkunsky added. A company then approached them and wanted to purchase the database from them, they were soon faced with the business decision that would change their lives. It was then that Student Brands was born in 2009.The director of the CSBD Moipone Molotsi said that it was a long but exciting journey and they were pleased to have reached this final stage. “We look forward to yet another year of great innovative business ideas from our youth,” she said.